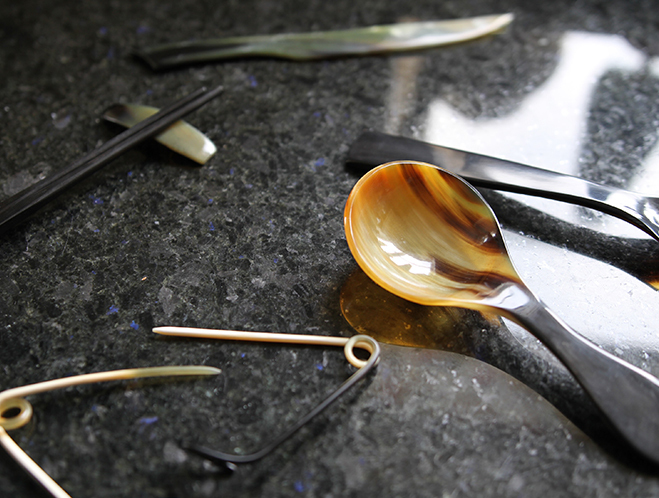 At the Hornvarefabrikken workshop in Denmark there are approximately 18 work processes involved in the manufacturing of a horn spoon. The raw horn is first selected, not all horn is suitable for production and has to be selected on colour and uniformity. 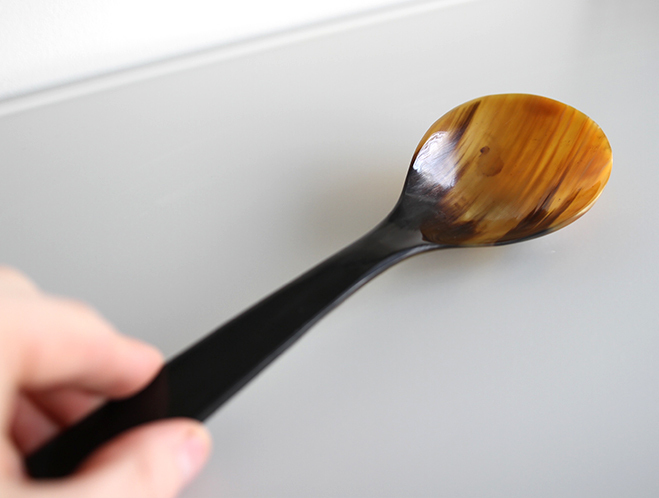 Once selected the piece is roughly cut to shape using a blank, it’s then sanded and later dipped in hot oil, which makes the piece malleable for shaping. Finally, they sand and polish the pieces so they can be used for functional purposes. 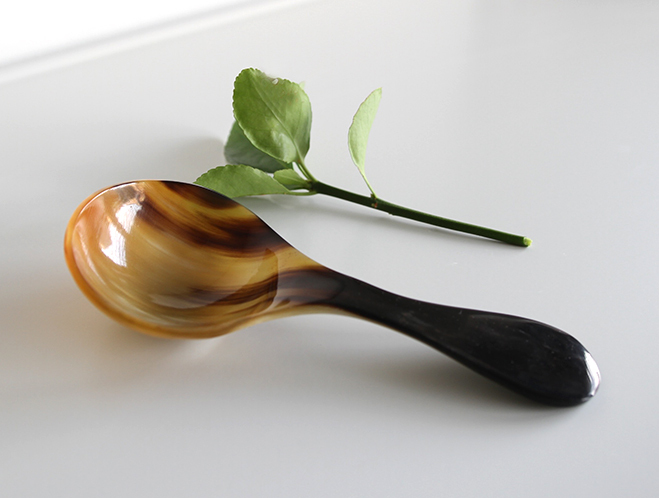 This week we received a fresh new shipment from Hornvarefabrikken, so I thought I would present a few new objects here. 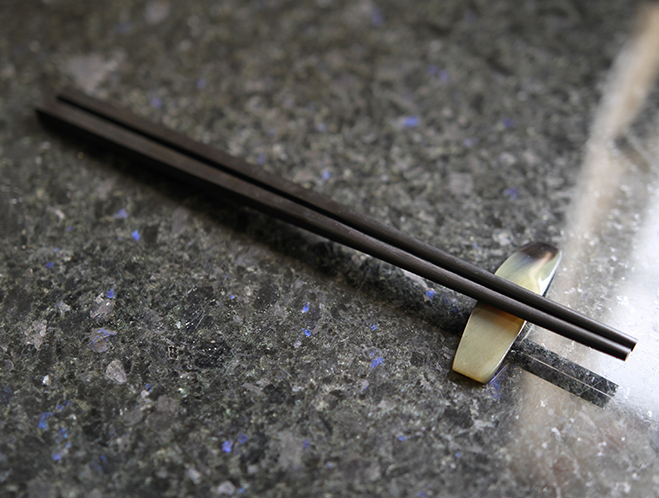 Previously we sold chopsticks individually, but now we’re trying out a new style with a horn chopstick rest instead. 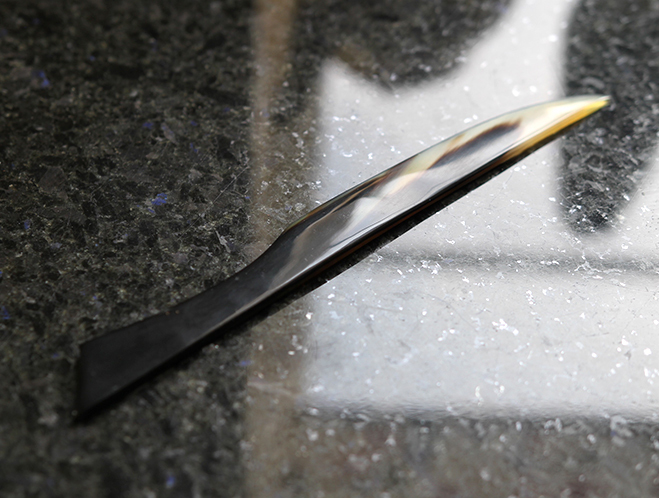 We’re also stocking a new letter opener, and some extra large spoons (which I’m particulary fond of). Hopefully you like them too and will view the new selection in the shop. Enjoy.